Your association at work on the important issues for our industry. Please check this page periodically for updates. 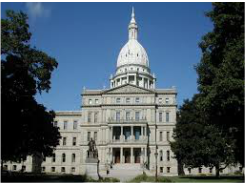 PMAWM's legislative committee is assigned to keep an eye on legislation that affects the 55 counties we serve. 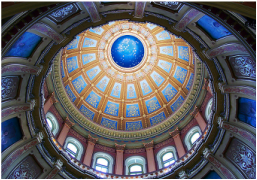 The Property Management Association of Michigan (PMAM) employs the lobby firm Kelley Cawthorne to watch state legislation and the National Apartment Association has teamed up with the National Multi-Housing Council to keep tabs on the Federal Legislation. Click the links above for more information. 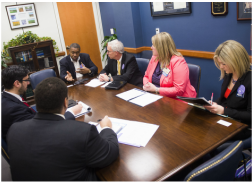 Political Action Committees, PAC's, are a vital part of our legislative efforts. Every single PMAWM member (from owners and managers to maintenance staff and suppliers) has a stake in a healthy, vibrant, and successful multifamily housing industry. We are currently facing and will continue to face the attacks on our industry. The ability of apartment owners to continue to provide safe, affordable rental housing to residents, and deliver valued services to them - while being effective, efficient and profitable - rests on the continued financial strength of the PMAM PAC and NAAPAC. Attention Members: To find out more information about the the State PAC (PMAMPAC) and the National PAC (NAAPAC), as well as how you can contribute, click HERE.